Police were called to the Market Place area of Selkirk yesterday (Sunday) following reports of a serious assault. 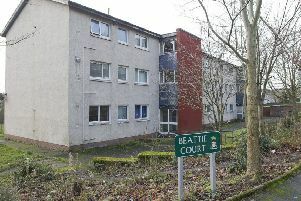 One man is due to appear in court in Jedburgh today (Monday). One man is expected to appear at Jedburgh Sheriff court today following a serious assault in Selkirk yesterday, which saw a large police presence in the town. Another man has been arrested in the town in the early hours of this morning. A Police Scotland spokesperson said: “Police in the Borders have arrested and charged a 27-year-old man in connection with a serious assault after officers were called to the Market Place area of Selkirk at around 11am on Sunday, February 3.